Remember Nintendo's NES Classic Mini? The little retro console that could? It's currently enjoying a renaissance like sales boost, bringing it to the top of the US console sales charts for the month of June. Originally released back in 2016, it quickly became one of the hottest gadgets of the year – in no small part due to the relative scarcity of the product. Whether due to supply issues or a (successful) attempt at driving up hype and interest, it launched first with incredibly limited amounts of stock. Then, Nintendo threatened to cease production altogether. However, the release of another batch of consoles has seen the console rocket to the top of the sales charts for the month – outselling its cutting-edge PS4 and Xbox One rivals in the US. Of course, there are economics to consider here. 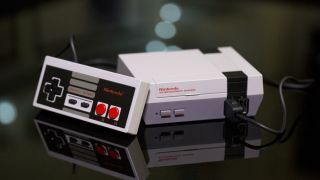 You're looking to pay just $60 in the States for the Mini NES, compared to several hundred dollars for the Xbox One and PS4. In fact, were you to look at sheer revenue generated by sales, the PS4 sits leagues ahead of the NES Classic Mini thanks to its chunkier price tag. However, either way it shows that there's consistent and feverish demand for access to Nintendo's library of classic titles. And, before making Nintendo start to sound like a heritage company, it's Mario Tennis Aces title for its latest Nintendo Switch console was the top selling title for the month across all consoles – even if i's a little so-so out on the court.